Cervical scoliosis is a rare condition wherein the atypical side-to-side vertebral curvature exists only in the neck region. Scoliosis rarely exclusively exists in the neck, only accounting for a slim minority of people affected by side-to-side atypical curvatures of the backbone. However, even when present, cervical curvatures are usually extensions of larger scale curvatures that cover much of the spinal anatomy, including cervicothoracic and cervicothoracolumbar curvatures. This treatise explores the incidence of purely cervical scoliotic formation that is wholly contained within the neck anatomy. We will examine the facts of scoliosis in the neck and present an interesting look at the condition from a clinical medical perspective. Most cases of scoliosis that exist purely in the cervical region are adult varieties that are caused by injury, spinal degeneration or functional issues. Severe torticollis, also called wry neck, is a common cause or contributor to cervical side-to-side spinal curvature. 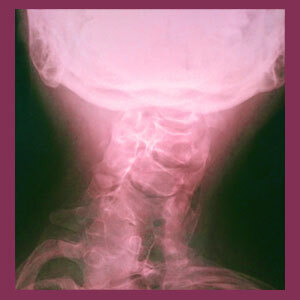 Cervical spondylolisthesis is another possible spinal causation, as is the occurrence of Chiari malformation. Muscle imbalances and other nonspinal concerns might be to blame in some patients. Spinal deterioration is commonplace in the cervical spine, with disc desiccation, intervertebral bulging and osteoarthritic accumulations being virtually universal in adults. 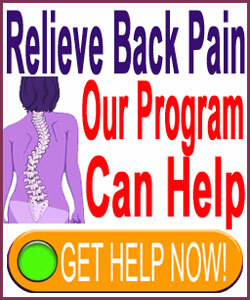 All of these factors can increase the chances for the development of cervical side-to-side curvature of the backbone, as can the development of spinal syrinx. Previous neck surgeries are a risk factor for the development of scoliosis in the cervical region, with some procedures being more likely contributors than others. Only a very, very small minority of the already rare cases of scoliosis in the neck are caused by congenital defects, such as hemivertebra, or developed during infancy, childhood or adolescence as is more common with other varieties of scoliotic formation. C-spine scoliosis accounts for a tiny percentage of the overall population of scoliosis patients. Although it might be visually obvious, the chance of the curvature developing to symptomatic degrees is rare, as the size of the cervical region is self-limiting in most patients. Additionally, since the cervical region does not bear the weight of the body and must only manage the movement of the head, significant functional limitations are also uncommon. Most cervical scoliosis will influence the lordosis of the neck, as well. Some patients will demonstrate hyperlordosis, while others might express hypolordosis. A few will actually express both conditions simultaneously, often on opposite sides of the neck if the vertebrae rotate sufficiently. In some cases, pre-existing lordotic abnormalities might incite scoliosis to develop. When complications result in association with cervical spinal curvature, they are often the result of the contributory process creating the scoliosis, rather than the scoliosis itself. This might create a confusion of cause versus effect during the diagnostic process, so patients must be wary to seek expert evaluation of any atypical cervical spinal curvature. Cervical spinal scoliosis is not a usual patient profile and some doctors do not even treat the condition in the same manner as scoliosis that affects the torso. Most cases are created through highly case-specific and verified reasons involving structural change to the surrounding c-spine anatomy that is developed as an adult. The remaining cases are usually the results of structural defects in the cervical region that are congenital or early developed. To learn more about rare cervical spinal scoliosis, we highly recommend seeking evaluation with an expert orthopedist who focuses their practice on vertebral curvatures. Do not be surprised if your condition is a surprise to virtually any physician, as this type of curvature is the least often seen in clinical practice.